Sound familiar? Sound like anyone you know? Sound like you at all? Yeaaaaaa, I didn’t think so. 🙂 I had the pleasure of reading a book called “the good mother myth” which was compiled by Avital Norman Nathman. 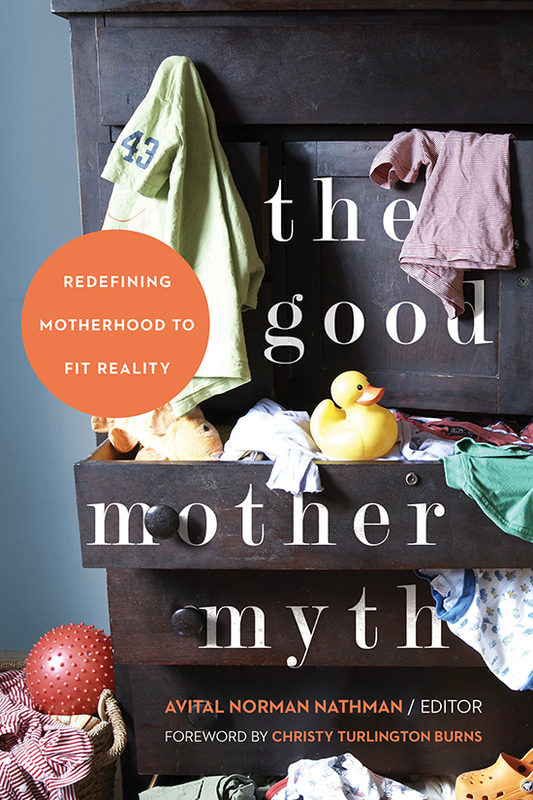 Although I’ve been acutely aware of this “perfect mother” dynamic that we’ve all been hurling toward, this book really re-opened my eyes to the idea of “the good mother” and what that idea implicates for our daily lives as mom’s. When I say that I am aware of the pressures of being a good mother, I mean that I’ve been trying to be a perfect mother for 4.5 years. I still don’t even come close to MY expectations for myself. Let alone, what society has laid in front of me to meet on the daily. I don’t wake up early and get myself primped and ready for the day an hour before my children. Half the time, I don’t even get out of my bed for the first 20 minutes that my kids are up and around. I don’t have breakfast planned out the night before, no freezer egg casserole, no crockpot oatmeal, NOTHING. I don’t have a pinterest approved craft planned everyday, and I don’t have a spotless house everyday. My house is basically only spotless if I know someone is coming over, AND I have the energy to make it spotless. Which mostly, I don’t. These are things that I have struggled to accept and still struggle with accepting. I can’t say that I don’t wish that I had a freezer full of prepped and ready healthy meals, and my house was spotless because of some daily checklist of chores I am able to keep up on. I wish I had craft time with my children, but honestly, I am the most UN-crafty person ever and most crafts are messy and I have anxiety thinking about allowing them to take place in my already messy home. This is reality. It has taken me a lot of time to push these perfect notions of what I should be to and for my children out of my head. I’m not always successful. I am my own worst critic and I definitely can get myself into a place where I want everything to be JUST SO: house clean (AND QUIET), children reading quietly in their rooms, healthy home cooked meal in the oven and all my errands ran for the day. I promise you, this NEVER happens. When I first discovered Pinterest, I would spend HOURS sitting on it, pinning things to boards labeled “hair dos”, “crafts”, “ideas for madden”, “decorating” etc. All the while, my children are pining at my feet for attention, MY attention. Not for a new craft plan, not for us to start making homemade play-doh or gluten free toddler crackers, but for me. I would sit pinning and feeling irritated that they wouldn’t leave me alone so I could find fun things for us to do together! How ridiculous is that? My kids ended up getting NO attention from me, because I was too busy letting pinterest “inspire” me with ideas on how to pay attention to my kids. You know what? I’ve NEVER done a pinterest inspired craft with my children, do you know why? BECAUSE I CAN’T CRAFT!!!!!! Why am I spending my time pinning crafts, I have no interest in actually doing? After a few months, I quit using pinterest completely. It had become a source of anxiety for me because I couldn’t possibly live up to the perfect pins I was saving to my boards. I began to get very down on myself for not being able to accomplish these pins. It wasn’t fun anymore. Let me remind you, this site was created to be fun! Not to make you feel inadequate in every facet of your life. Eventually, I was able to restart my pinterest and I do use it but I only use it for one board. FOOD!! I will pin recipes and meal plans and such. I do this because I like cooking, I like food and I will actually use the pins I’m pinning. I stink at doing my hair, so pinning adorable hair dos…doesn’t really make any sense. What I have learned is that I need to prioritize what aspects of myself as a mother I want to focus on being the most successful. For me, this list is short. I really take great importance in the food that my children eat, and that their days spent at home with me are not spent with me nagging them about keeping things clean. I do my best to keep things orderly, and as they get older I have good success in helping them think about cleaning up one mess before moving on to another. But everyday isn’t clean, and my food isn’t always healthy and homemade and that is okay by me. THEY ARE HAPPY, and in turn I can be happy. The Good Mother Myth, was a great read. I don’t have a lot of time to read a book, and I know that’s a common excuse for most people (mothers especially). But, this book is set up in a way that you can read about 3 pages at a time and complete it with ease. The “chapters” are simply essays, or stories written by a mother. These are not stories of perfection, or mothering gone right. These are stories of extreme failures in motherhood, and of a mothers perceived shortcomings in her parenting journey. I encourage you to read the book, buy it for a friend who you know feels the pressure, share your copy with friends, read it at your book club (if you have managed to successfully find time for book club! good for you!) Honestly, there is a relatable story for everyone and somehow I found myself relating to almost every single one of the stories I read. It was uncanny how much of myself I could see in each story. That could mean that I am a books worth of failures as a mother. In fact,I probably have “failed” a books worth of times at this job. But the point is, none of these women are bad mothers. None of them have gotten it right every time, or even half the time for some. The point is, they are a mother. They are trying, and doing the very best they can to survive the day, love their children, and maybe even scrub a toilet while they’re at it. It takes a lot for us to feel adequate as mother’s these days. Between pinterest, facebook, instagram, and mommy blogs, it seems to have left little room for error. We have to remind ourselves, that the photos are cropped and filtered, the status is edited, the blog post is just a snippet of that mother’s day. There is so much more behind what we see and read on social media, we have to remember that. We have to not care if our neighbor made breakfast from scratch while her husband and children built a toy airplane and then they all cleaned the house together and went to the local soup kitchen for the remainder of the day. GOOD FOR THEM!!!! And good for you for not burning the toast the second time even though your 2 year old was throwing a tantrum because you peeled her banana too much. Great job getting that basket of laundry put away that you folded two weeks ago! You are rocking those sweats and that ponytail! Today, we should all sit inside our messy houses knowing that we aren’t the good mother that society expects us to be, but that we are a good mother within this society and we are doing the best we can.